Ugly EOPN is provided for you and you can open it with EOP NMN Follow ME plugin to play Ugly piano by following it. Enjoy Now! Ugly is a song performed by Xue Zhiqian who is a Chinese singer and actor. 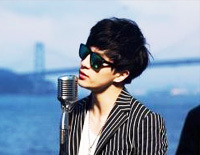 Xue writes a large majority of his own songs. In 2008, he was invited to visit Japan by Shinji Tanimura after hearing another song that Xue wrote himself, Chuan Shuo or Legend.